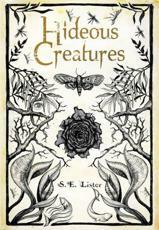 Hideous Creatures is the compelling debut from British author S E Lister. Arthur Hallingham travels from England to Virginia on a slave ship in a bid to escape his former life and troubling family history. On his voyage he meets Flora, the daughter of an outlaw, and Shelo, a medicine man with mysterious powers. Upon arriving in the New World the three acquaintances embark on a journey through the beautiful wild lands of the South. However, as they draw closer to their destination Shelo’s sinister intentions for his companions are revealed and Arthur and Flora become locked in a struggle for survival. Sophie studied at Warwick University and wrote for a variety of magazines about philosophy and film before completing her first novel. She enjoys shopping for vintage clothes and growing her own vegetables.